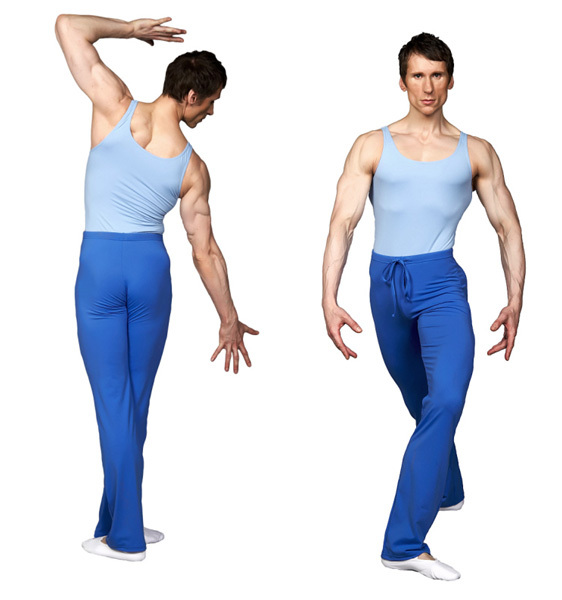 Jazz Pants with straight legs and elasticated waist with draw string. 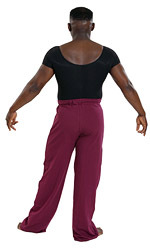 Jazz pants in light weight Supplex with flared bottoms. 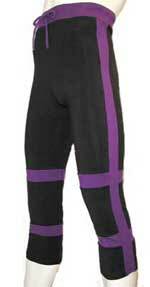 Bi-coloured cotton Jazz Pants with a wide waist band, draw string front, contrasting stripes and leg bands. 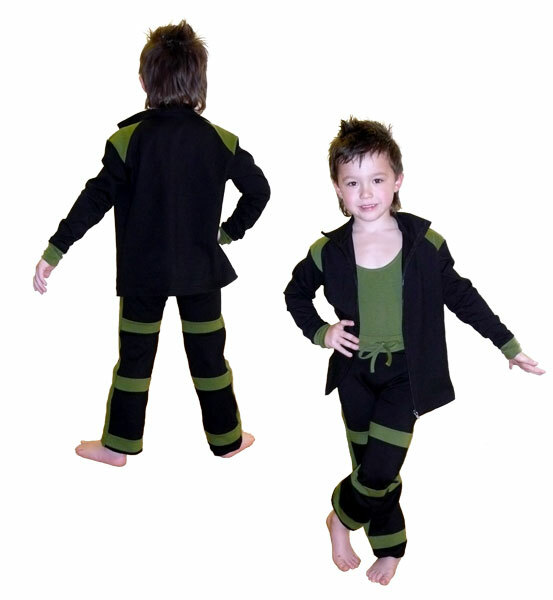 Jazz Pants with matching jacket all in cotton. 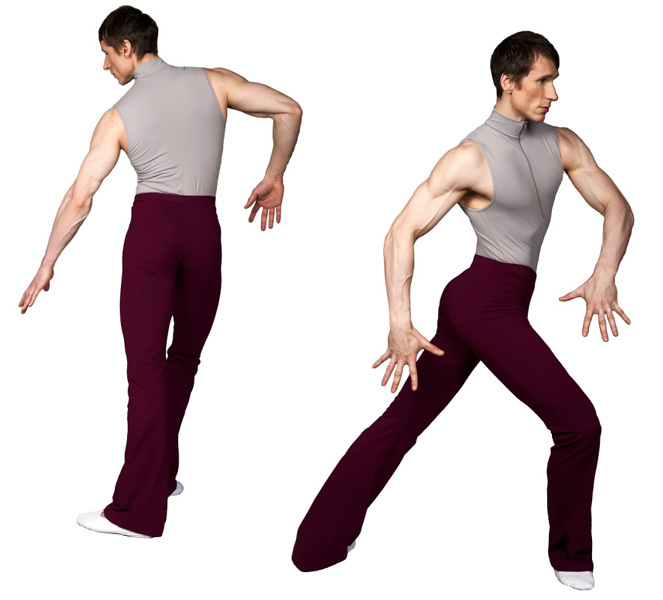 Bi-coloured cotton 3/4 length Jazz Pants with a wide waist band, draw string front, contrasting stripes and leg bands. 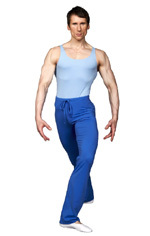 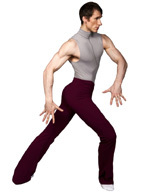 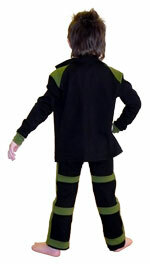 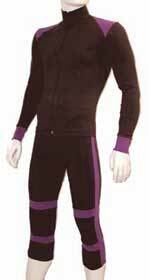 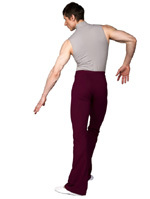 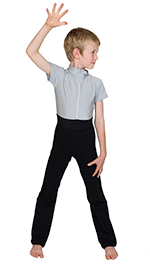 Boys jazz pants are made to order in accordance with the size charts on this page.